The work that we do is demanding and complex. For that reason I find that it is useful to seek inspiration to help me, wherever it springs from. The great Steve Perry sang, “I believe that every soul has a song to sing”, which led me to wonder if it might be helpful to think of our clients’ as not only providing a narrative that contributes to a formulation but also layers of information and behaviour that we could think of as the music under the narrative; their song. For me this has been a useful metaphor and I thought I would share some of this in case other people find it useful. Music is very rarely a single melodic line that can be easily analysed. Usually it consists of multiple layers of instruments that contribute to harmony and melody and pulse and feel. Despite that complexity we form a unified sense of that piece when we listen to it, unless we specifically focus on, for example, a single instrument. A great example of complexity that results in a simple picture, unless you start to analyse it, is Africa by Toto. 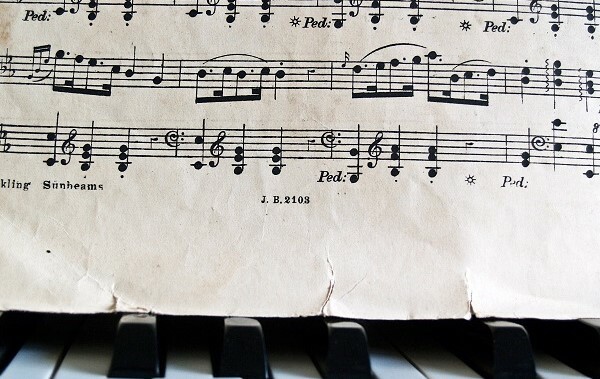 What we typically do is perceive the whole, in part because we’re after experiencing the song, not the parts, and in part because we assume that the composers and musicians are not trying to hide anything from us either consciously or unconsciously. However, when we do start to listen out for the constituent parts we hear nuances, subtle shades, that we missed the first time around. Going back to Africa, think about the different layers in the opening drums, then the movement of the various keyboards during the introduction and underlining the vocals. Suddenly what you might perceive as a cheesy soft-rock ballad offers up something more; more challenging, more intricate. There’s a narrative, but the complete picture is not necessarily just the words, they have a context. Isn’t this true of people too? My narrative of a day in the office, drinking tea, snoozing, punctuated by writing sarcastic comments on your work, is not a simple, unitary thread that could be traced back to my appalling education and being abandoned by my family. My education and early attachments underlie what I am doing now. My present stacks onto my past, like layers of instruments, that provide the accompaniment, the music to my narrative and combined they make my current song. If you think that my feedback is “me” that’s like you thinking that Africa would be equally expressed by just hearing someone say, “Gonna take a lot to drag me away from you, there‘s nothing that a hundred men or more could ever do”. Not even a great pick-up line. So to really experience the music or to really understand the person we need to identify those layers, see what they do individually, how they interact, and examine where something might be messing with that soul’s song. As an example here’s a piece called ’Metaphor’, made of 11 layers (no singing, a simple instrumental line as some singing is best kept private. Like marzipan). This could be a client, with their narrative, and on the surface it might seem honest and open and reflective. They have reduced their offending, increased their mental health awareness, developed strategies to minimise violence. But do we accept that surface narrative or look further at the layers? My metaphor suggests to me that I try to strip away (how to do so is a whole different question!) and isolate the layers to really examine if the surface narrative is coherent and consistent. In the next clip layers are gradually removed so you can get a sense of what’s going on in Metaphor. The final layer, which is perfectly audible, doesn’t fit (it includes a tritone, also known as ‘the devil in music’), but until we have removed almost all of the other layers it isn’t noticeable. Once you’ve heard it though it is a lot harder to ignore even with everything else playing. If we can identify the layers of a person’s song we may better understand how simple lines intertwine, and how a single simple line might be underlying someone’s disquiet. If we can do that perhaps we are better able to support that person and help them find ways to change or to manage with more precision; to sing their song.